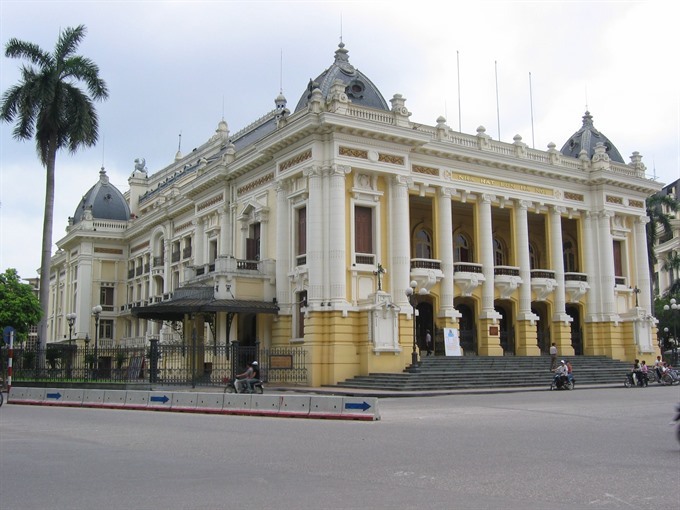 The Việt Nam National Administration of Tourism (VNAT) has introduced two new tourism products featuring the Hà Nội Opera House to travel agencies and media outlets for review, before offering the products to tourists later this year. The first tour will whisk tourists around the city by electric car, taking in the Old Quarter and the National Museum of History before finishing at the Opera House, where tourists will hear about the architecture of the iconic colonial building and watch a 30-minute art show. The show will be performed by artists from four leading theatres, namely the Việt Nam Singing and Dancing Theatre, the Việt Nam Tuồng (Classical Drama) Theatre, the Việt Nam Chèo (Traditional Opera) Theatre, and the Việt Nam Puppetry Theatre. Excerpts of folk art plays have been selected for inclusion in the show. The tour is expected to last for an hour and a half, taking place between 10.15am and 11.45am on Mondays and Thursdays. The proposed price is VNĐ400,000 (US$18). The second tourism product introduced is a standalone tour of the Opera House. Tourists will be able to explore the building and watch a show from the seats on the third floor. They will also be able to take photos throughout while listening to an audio guide on the architecture and history of the building. This Opera House tour would last for around one hour, and is scheduled for 9am, 10.30am, and 2pm on Tuesdays, Wednesdays, Saturdays and Sundays. The proposed price for the shorter tour is VNĐ120,000 ($5). 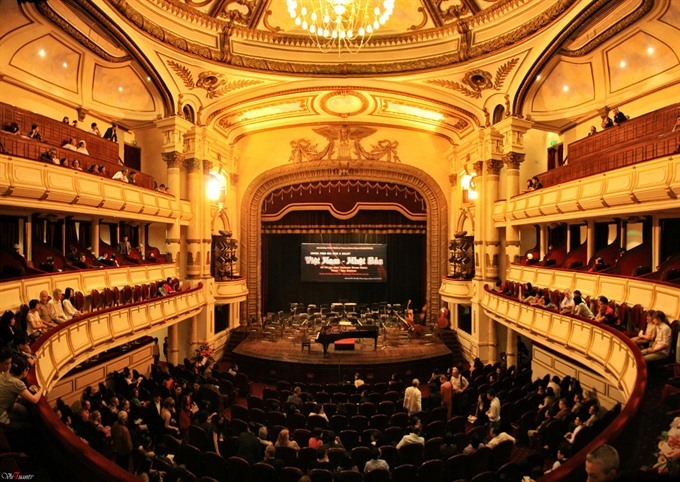 Vũ Mạnh Hà, director of the Opera House said the two new tourism products would be on offer, but in the future, if the tourist numbers pick up significantly, the Opera House would be free to enter. After reviewing the proposed tours, representatives from various travel agencies weighed in with their opinions. Furthermore, the early time slot is not suitable for an indoor tour. The daytime hours should be reserved for outdoor activities, and indoor tours should take place in the evening, she said. Nguyễn Hồng Nguyên of the Hanoitourist company was in agreement. “Tourists rarely want to visit theatres in the middle of the day,” he said. 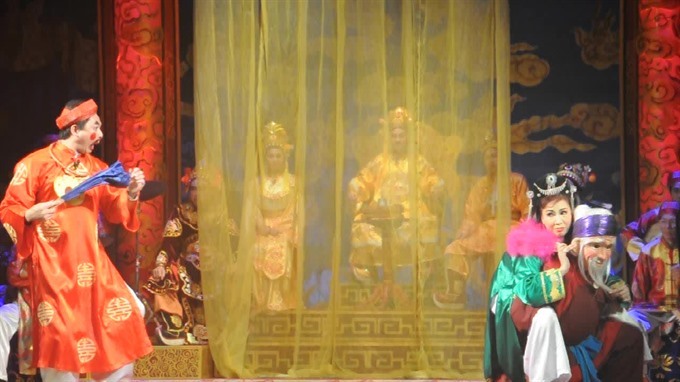 Nguyễn Thúy Hà, from Threeland Travel, proposed the tour should be organised every day at three different timeslots, like the water puppetry shows at the Thăng Long Theatre, so that tourists have more choices. Nguyên said the ticket price for foreign and domestic tourists should be the same, and that VNĐ400,000 would be too high. Thảo proposed the price be cut in half (VNĐ200,000-250,000) while Nguyên suggested that the tour be free to start with, and paid tickets offered if it was successful. The water puppetry show, the variety IONAH show (at the Star Galaxy Theatre on Láng Hạ Street) and the Tứ Phủ mediumship show (at Công Nhân Cinema on Tràng Tiền Street) offered reasonable ticket prices of between VNĐ80,000-120,000, she said. Commenting on the show inside the Opera House, many participants said that explanations should be provided in a number of languages. Many participants expressed appreciation for the programme chosen, while others considered the selection to be too eclectic.